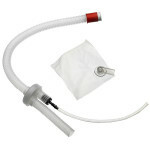 The Advanced Sanitary CPR Dog provides each student with their own sanitary muzzle and nosepiece with a one-way valve. The muzzles may be disinfected and reused, while the nosepieces and lower airways are disposable. Minimizes the chances of cross-contamination and reduces cleanup time. Students will find training to be much more enjoyable on this sanitary manikin. In addition to practice in assisted breathing, students may practice the appropriate rate, pressure, and position of cardiac massage; and coordinate the respiratory cardiovascular functions. An IV can even be established for more advanced training. The Advanced CPR Dog is connected to a small box that shows a green light when the correct ventilation pressure is applied, a blue light indicates correct position for cardiac massage, a white light indicates correct pressures, and an audible beep and a red light indicates excessive pressure. A visible chest rise appears when correct ventilations are applied. Includes soft carrying case, six muzzles, 10 nosepieces, and one lower disposable airway. 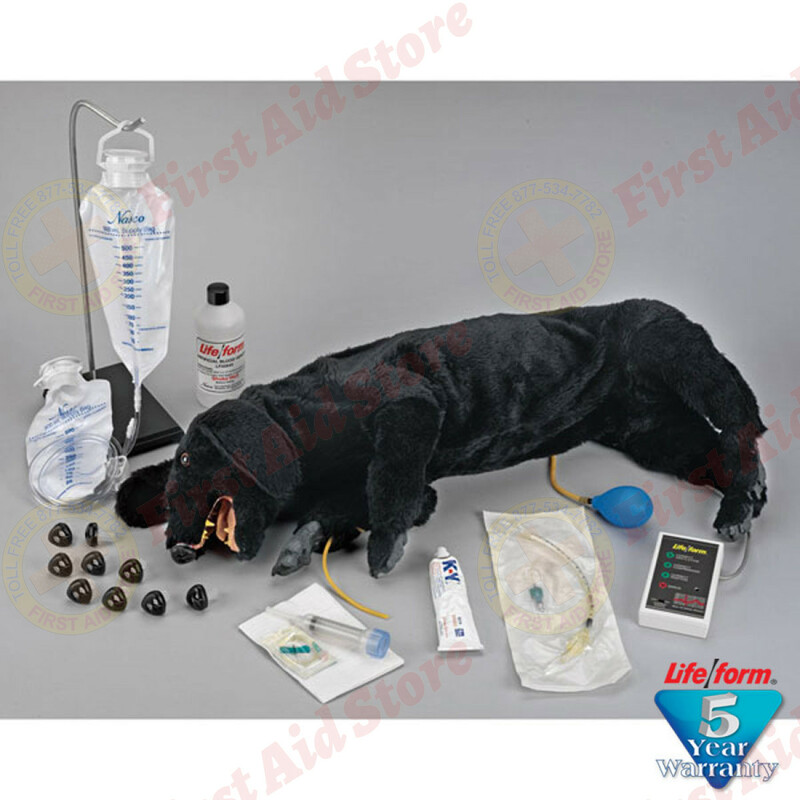 The Life/form® Advanced Sanitary CPR Dog.